Ever thought about starting your own farm in your backyard? Grow your own delicious, healthy organic food. That’s exactly what Kari Spencer and her family have done. In fact, they turned it into a family business known as The Micro Farm Project. The Micro Farm Project is a family-owned urban farm and informational outreach in the heart of Phoenix. After graduating from the Master Gardner program through the University of Arizona Cooperative Extension, Kari began transforming her empty, dirtscape quarter-acre property while her husband was deployed by the Navy Reserve. Her husband returned home to a much different yard; lush and green instead of dry and dusty. You’re in luck! In Phoenix, a garden can be started any time of the year. Right now, you can start to plant warm season vegetables, such as tomatoes, peppers, squash, beans, herbs and melons. If you’re a first-time gardener, Kari recommends starting with zucchini or yellow squash, basil and oregano, beans, eggplant and hot peppers. These plants love the Arizona heat and produce a harvest relatively quickly. If you don’t quite have a green thumb yet, Kari highly recommends reading Desert Gardening for Beginners by Cathy Crommel and exploring the library of free gardening articles by the Maricopa County Master Gardeners. Both books are available at http://cals.arizona.edu/maricopa/garden/html/pubs/press.htm. It is also important to use a planting calendar for the low desert. You can download a free planting calendar at UrbanFarm.org. Are you ready to transition from gardening to micro-farming? Kari suggests starting with just a few chickens. They are easy to manage, and the eggs are much better than supermarket eggs. If chickens are on the “prohibited” list in your neighborhood, you may want to try raising Coturnix quail. These birds are small, quiet and live in a cage, so they are considered a pet rather than livestock. They produce lovely eggs that are small, but highly nutritious. Once you (and the neighbors) are comfortable with the birds, then you can branch out and begin to add other types of poultry or goats. Kari teaches classes on topics ranging from basic gardening, container gardening, and composting to chickens, goats and other types of livestock. Available classes can be viewed at TheMicroFarmProject.com/events. Online courses are at UrbanFarm.org/events. She also teaches regularly for the Uptown Growers Market and for the Valley Permaculture Alliance. Classes vary in price from free to $35 for 2 hour classes to $97 for Growing Food the Basics, which is a 7-week course offered by Urban Farm U. Busy raising a family, running a business, and tending to her farm, Kari still has the time and energy to write a book on urban farming for 5M Publishing. To keep track of the book’s progress, visit CityFarmingBook.com. The book is a work in progress and will be coming soon! To learn more about The Micro Farm Project, visit TheMicroFarmProject.com, and follow them on Facebook, Twitter and Instagram. Start planning your garden or farm today! 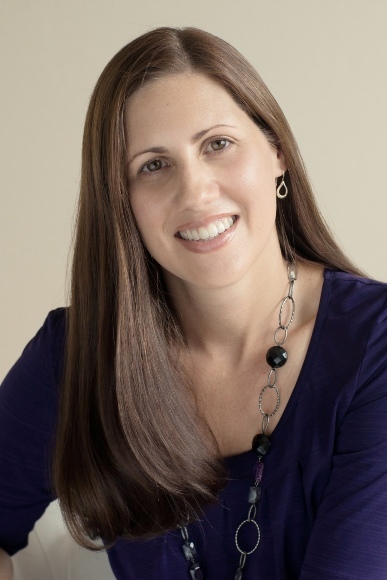 Jennifer Solomon is the publisher of North Phoenix Family Magazine and the owner of Inspire PR & Marketing, LLC, a public relations and marketing firm. She has more than 16 years of experience in public relations, marketing and event management. Jennifer is a mom of two kids, ages 8 and 9, who inspired her to start a local family-friendly online magazine for other parents. She loves coaching kids in sports, decorating, and gardening. Follow North Phoenix Family on Facebook, Twitter, Pinterest, and Instagram.